If I could associate an image for my tea journey, I would choose a rhizome. It's a living, growing, breathing thing that is ever expanding under the surface. Sending out shoots to climb to the air and share with the world. Knowledge and experience feeds it, and it occasionally develops a blog post that makes it to the surface. 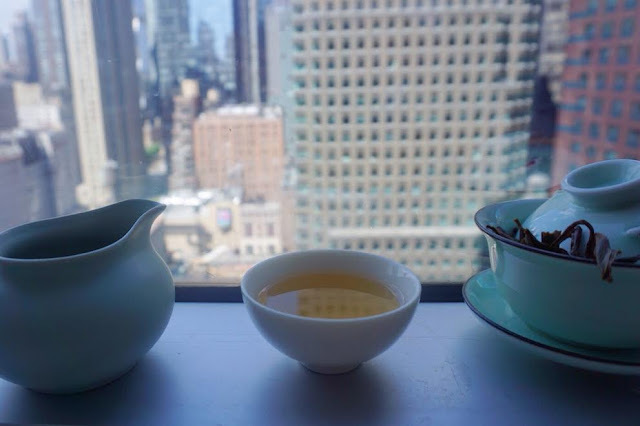 I use my tasting posts as experience for my palate, to further feed the tea journey. Today's tea is a sheng puerh. 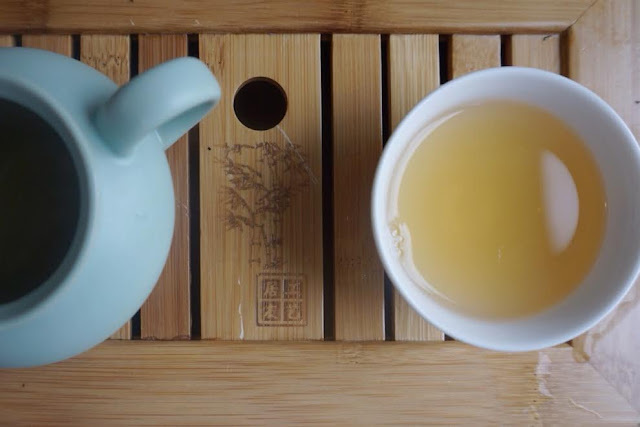 I am still very much a newbie when it comes to puerh, and I'm always happy to get the opportunity to try it and continue to grow under the surface. 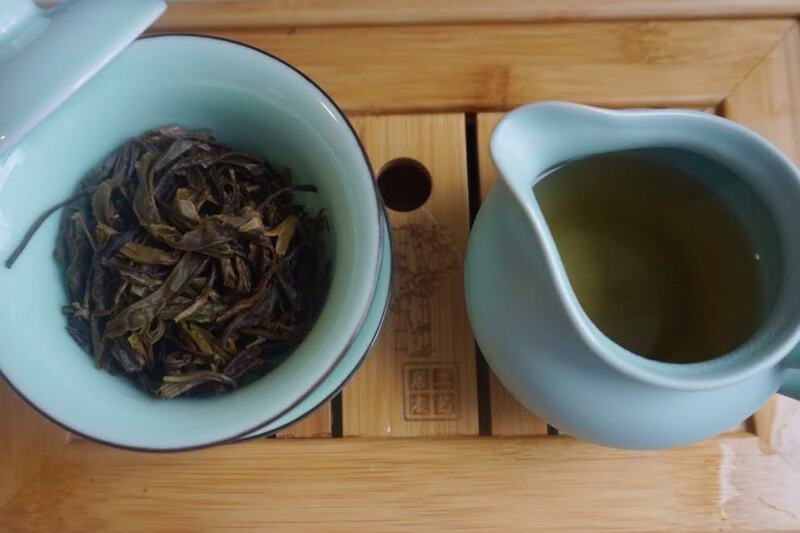 The tea is a 2016 spring sheng puerh from Misty Peak Tea. The company only sells puerh, and only from one family farm. To learn more about found Nicholas and the company you can check out the interview we did in 2015 right here. The dry leaves are quite long and twisty. The leaves span a spectrum of dark green shades. A few sniffs bring a strong apricot aroma-very sweet, as if it were cooked into a jam. There is also a slight bit of smoke. After a quick rinse, the wet leaves smell smoky, still apricot-y, with a touch of leathery peat and forest floor. Things are starting to feel very organic and earthy. After the first infusion, the tea is dry on the palate with hints of smoke and peat. It has nice body and coats my throat. The fruitiness is still there, but more in the background. There is a fresher, green loamy thing going on too. A gentle floral sweetness lingers, and that subtle apricot sticks around for quite awhile. Almost like an apricot compote. The peat and loam bring me to the Scottish highlands, inhaling the fresh dewy green essence while watching sheep slowly graze. There may be a bit of a light spring rain in there too. I had quite a few steeps of this tea and although the earthy dryness still dominated, it became sweeter as I steeped. It had me craving a nice dry white wine. Before I started my session with this tea, I had an annoying headache. 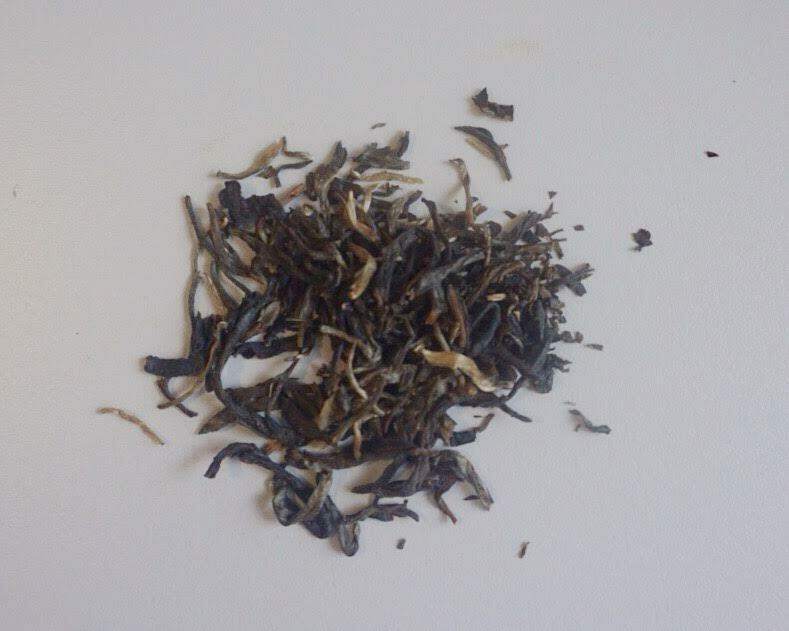 I was surprised to see that after a few gaiwan pours of this tea, my headache was completely gone. Could it be the caffeine? Or the peaceful images of rolling Scottish hills? Or just coincidence? I choose to believe in the magic of the sheng, while the rhizome expands just a little bit. Thank you to Misty Peak for the sample. Your puerh drunkenness is starting to read like mine. Haha, I take that as a compliment! !